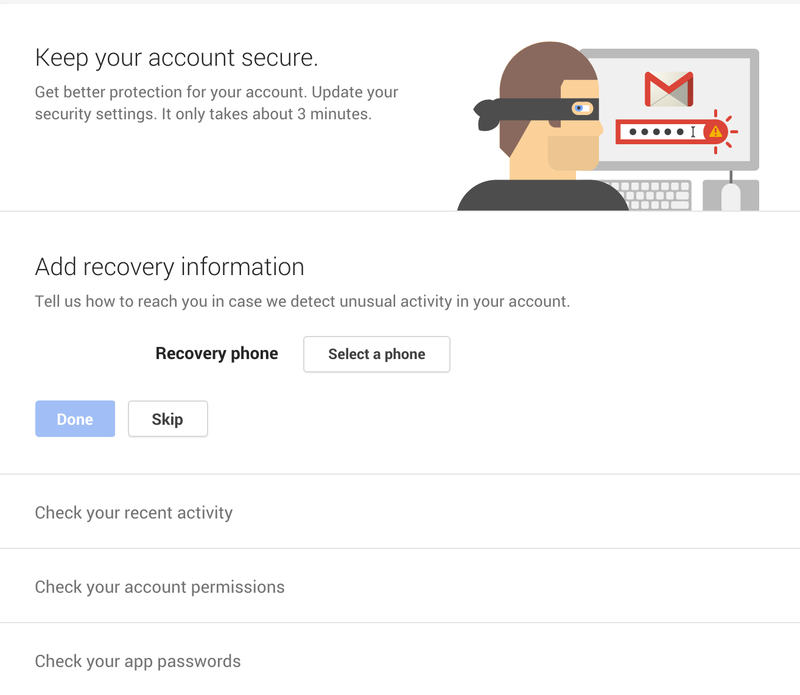 We are also launching the security wizard for Google for Work accounts. The security wizard guides users through steps they can take to turn on or adjust security features, like providing contact info for account recovery (if the domain security policy allows it), or reviewing recent account activity and account permissions. Plus, it only takes minutes for users to update their settings. This tool prioritizes all administrator settings for security features that end users are permitted to turn on. Access the wizard at g.co/accountcheckup. Security in the cloud is a shared responsibility and keeping your company information secure is at the core of what we do everyday. 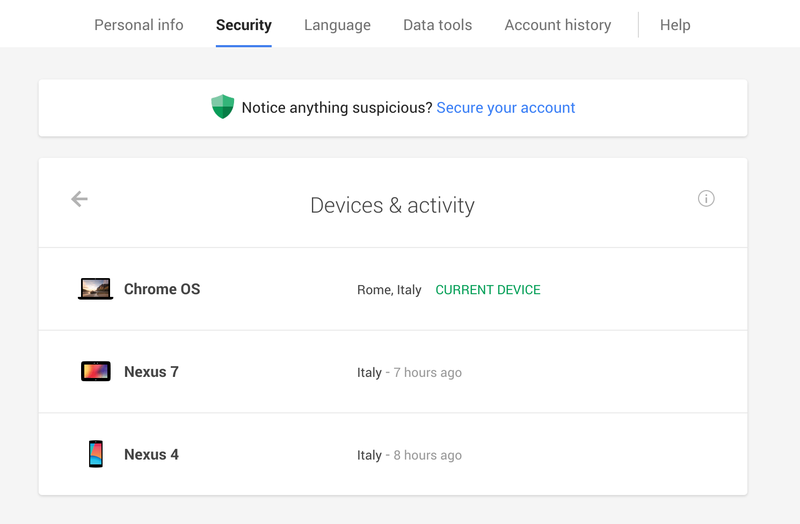 By making users more aware of their security settings and the activity on their devices, we can work together to stay a step ahead of any bad guys.